IV sedation is administered by a visiting Medical practitioner. This is also called sleep dentistry, conscious sedation or twilight sedation. With IV sedation, there is a combination of sedatives that are administered through a vein. 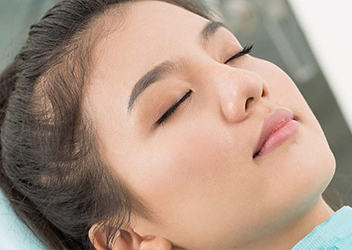 These will make you feel relaxed so that you can literally sleep through your dental procedure. If needed, we can easily wake you and you will be able to follow instructions. This method allows the dentist to continually adjust the level of sedation. While sedated, all of your reflexes will remain intact, for example you will be able to swallow and breathe as you normally would. After the procedure, it is necessary for somebody to take you home and stay with you for the rest of the day. The best part of this sedation is that you will have no memory or recollection of the entire procedure.